Thanks to those who came to the meeting this time around. There were a lot of competing events on this weekend including the very successful inaugural Blue Mountains Edible Gardens Festival and Trail. After this meeting we then went on to run a well attended workshop, seed swap and discussion later after this meeting at the Katoomba Community Gardens that was a part of the Edible Gardens Festival. A usual the crazy mountains weather was a hot topic… but this year has been excellent so far for beans and peas especially and with the recent rain our long Blue Mountains Autumn is looking very productive. And we did have some nice seasonal seeds to pack including some Sunflowers ‘Lemon Queen’ seen here being snacked on by young Rodney… This is an interesting variety as it is large, usually has 2 flowers (1 large and 1 small) and rotates over to face the ground as it ripens which means the numerous mountains parrots don’t get to see it and destroy it so easily. 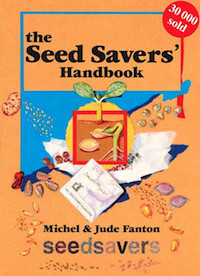 ← Seed saving workshop and seed swap!